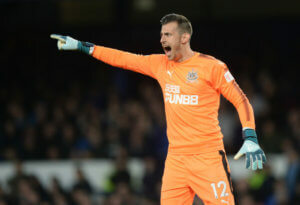 Martin Dubravka has been brilliant for us this year – last season he was on loan from Sparta Prague, and we bought him in the summer for just £4M, and he’s continued in top form between the sticks. The goalkeeper had another good game last night at Goodison Park and but for him, we wouldn’t have come away with an excellent point in the 1-1 draw. Rafa always wanted a goalkeeper who would take control from the back and be good with his feet. 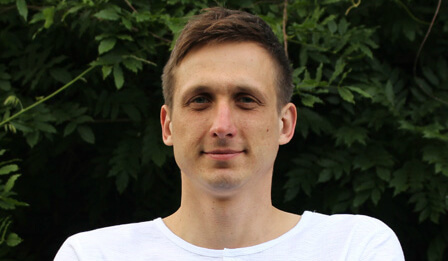 And Dubravka is that kind of goalkeeper, and his confidence has helped our defense improve this year. In fact, we have some talented and experienced players who were brought in over the summer and we didn’t pay much in fees for them. There’s Dubravka (£4M), Fernandez (£6M), Schar (£3M) and Ki who was a free agent from Swansea and all are currently first team starters in the side. £13M for four experienced starters – these are good acquisitions by the club. If Rafa stays on board past next summer, then we expect to pick up one or two bargains every summer becasue of the number of contacts he has in the game. “Martin is doing a great job for us.” “He is a good professional and hopefully he can carry on. Looks like Rafa will want one new striker brought in next month either permanently or on loan with an option to buy in the summer. It was a very good point last night and we didn’t expect it. But now we must also have a decent chance of beating Wolves at home on Sunday afternoon. With the Magpie Group postponing their protests against Ashley until February we hope there will be a sold-out crowd on Sunday. There also seems to be a good chance the club will be sold before the end of next month and probably sooner. With everybody United – Newcastle can win this game on Sunday. Who Was Newcastle's Man Of The Match At Everton? Please help the needy at Christmas. Let’s see if we all can help more people in real need this Christmas and give people the greatest gift they will receive this year. If you can do this it would be really appreciated – please give here. I hope this sale is actually happening but won’t believe it until fatty has left the building and taken his SD crap with him. Seems strange we wait 9 years or so for a single buyer then 4 turn up at once a month before Jan transfer window – wheels on the bus go round and round ….. Jackanory , tell a story .. If you thought speculation around almiron and takeover is getting crazy, you haven’t seen anything. are you the irish guy that online guy is referring to to about being a potential bidder? Possibly. Ive been to Belfast once, does that make me Irish? Toon twenty two toad attempts to tell us that the tight fisted tw@t that has tricked us twice to date is trying to trick us a third time. It’s time to tell the toad that time alone will tell. Ta ta and night night. So what are folks thoughts on Atsu and Murphy last night ? Personally thought they both did enough to get a few games in a row! Has Atsu been doing gym work ? Am I correct that It was you that set up the Blog Consortium? To be fair and regarding your Irish nationality, I do not think in this instance the truth makes much difference! Melilla got a goal !!!! Yeah that was me lol. 17 investors £4130 in total from the blog. Since we don’t know of any official bid for Newcastle, consider this total of £4130 the front runner. Does make me wonder why sky and the lot won’t mention us. I’ve even had Nymag do the due diligence! For rafas tactics to work we need ball carriers with pace to take us up the pitch. Murphy did that for the goal but didnt really do anything else after. Atsu was much more livelier and carried us up the pitch a good number of times. We are missing that in midfield like sissoko used to give us. So we a need a midfielder that can run like sissoko and a number 10 who can carry ball up pitch. Ben Arfa would have been ideal as he could dribble past people but he maybe wouldn’t want to close down or press too much. I think the formation i want to see is 532 like Juventus used to play. Yedlin, Schar, Lascelles, Fernandez, Dummet. Saying that I contradict myself as that line up doesnt have a ball carrier. It would need to be the wing backs but Dummet cant run with ball at his feet like Yedlin can at times. Diame should look to break forward but he leaves ball behind always. Rondon cant run with ball either. Other players Ritchie has no pace comes back on his left foot too much and Kenedy just wants to come into crowded players. Last night was probably 1st time I saw Wingers using width to stretch team and put crosses in. With that I’d say Atsu and Murphy are more effective than Kenedy and Ritchie. Other problem I didnt like was we let Everton pass ball to much in dangerous areas. we were just waiting in spaces instead of doing more aggressive pressing where we dont give them time on ball. I believe pressing aggressive manner puts players under pressure whereas if you stand off them and let them pick passes hoping to limit spaces puts too much pressure on us and other team always seem to get through anyway. I always notice when we park bus the other team always still manage to find chances. examples against man city we would concede in like 7th minute even though we are parking bus. Against Everton Tosun still had point blank chances as did siggurdson. Interesting that hibbit. Not the article itself which is mainly regurgitated from articles we’ve already seen, just the fact that the US media is starting to take notice. Binny doesn’t have to change anything , the frog wears that shirt. I am a bit surprised you of all people haven’t picked up on it. Pleased the Blog keeps ‘Mrs GeordieTom ‘ happy…..
Mrs Bambams does her nut ! “YOU ON THE BLOG AGAIN”…. Some go to bars or have a bit on the side….I follow a blog ! Don’t even suggest it mate ! There are so many of us doubt everything that comes out his mouth, but the only thing I cling onto this time is Kenyon – he has not denied any of this. Does anyone know who has been contacted?